It’s Siblings Day! Or at least it was yesterday... And to celebrate, we invited Kevin’s brother Paul back to the cast to talk with us about Sons of Mogh! That’s right, it’s two sets of siblings talking about our favorite set of siblings; Worf and Kurn! We’ve got a lot to debate this time, as we dig deep into the moral implications of the batshit crazy ending of this episode, the death penalty, assisted suicide and all sort of heavy stuff. 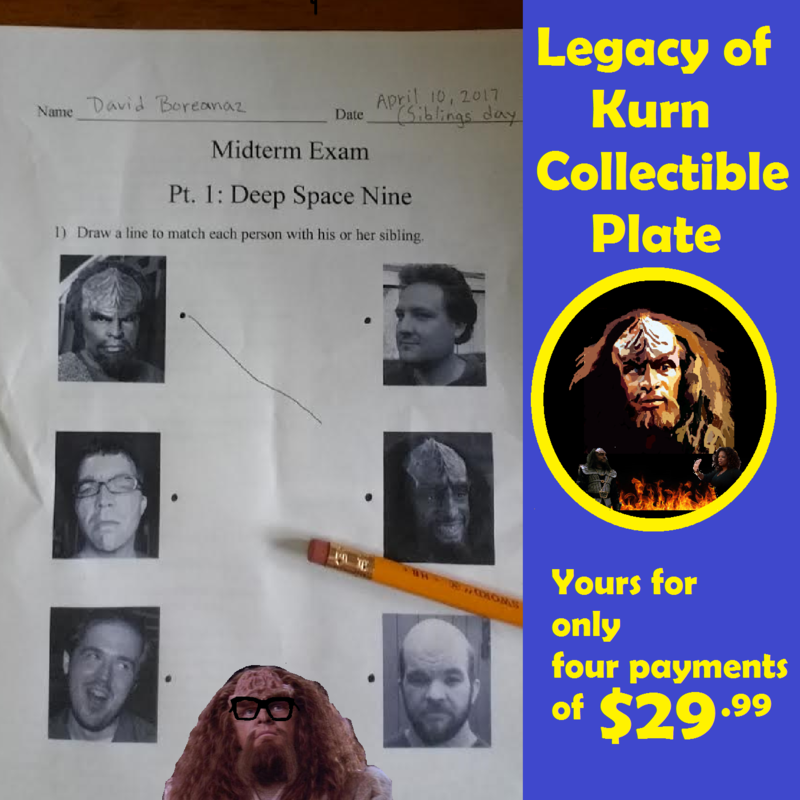 But we’re also picturing commemorative plates with Oprah on them, describing what Klingon WikiHow pages might be like and outlining an alternate, murderous take on the 90‘s sci-fi classic, Sliders. Which is on our minds for some reason. There’s no better sets of siblings you can spend your day hearing from or about, so pour yourself a glass of bloodwine, some Aldebran whiskey or even just some Kanar, and enjoy brotherly love.